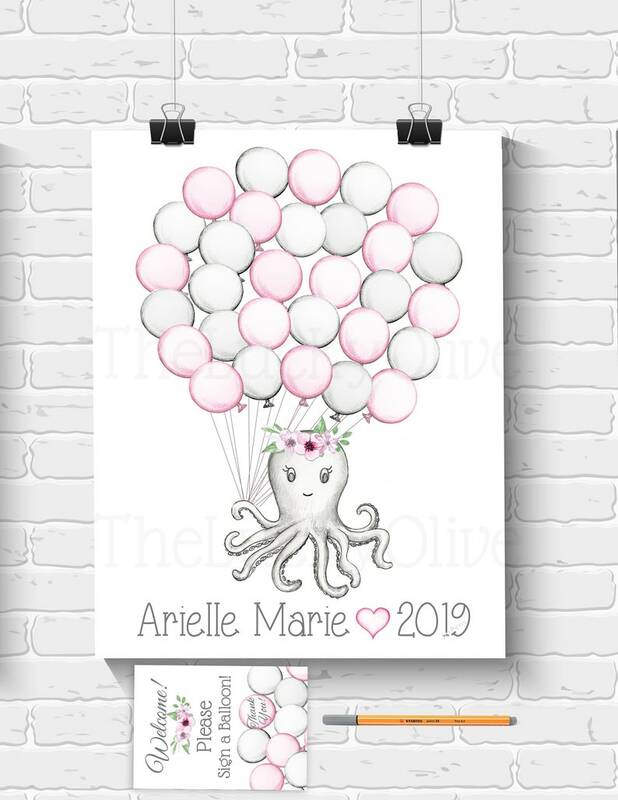 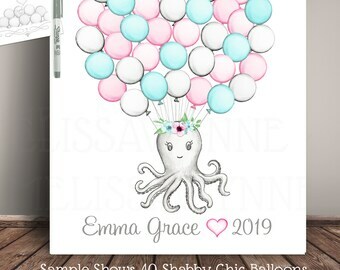 Gray Octopus with Pink Floral headband, is holding Pink and Gray balloons in the quantity of your choice. 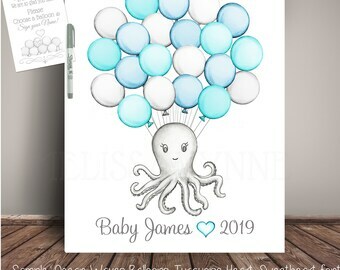 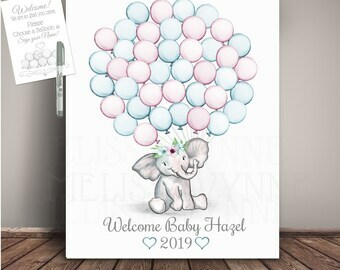 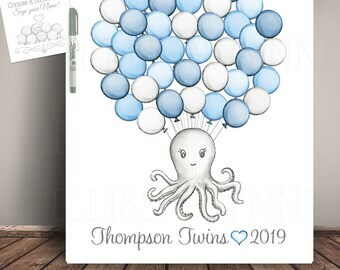 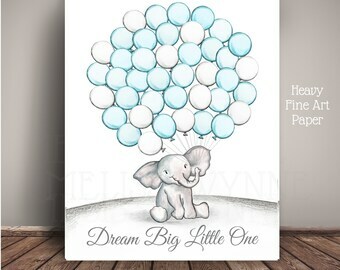 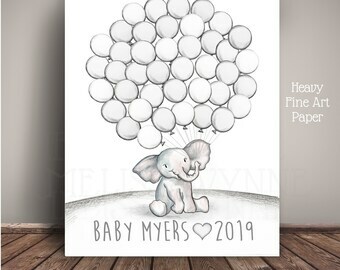 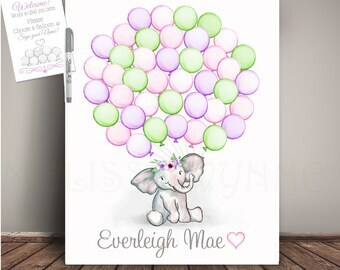 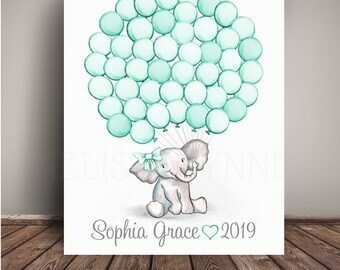 Display this artwork at the baby shower or birthday, and have each guest sign a balloon! 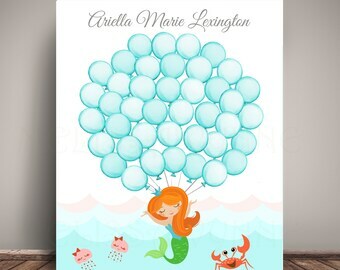 Then frame and hang this premium fine art print, to enjoy for years to come! 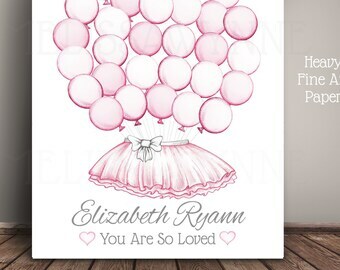 Provide the Text Details in the PERSONALIZATION Box under the drop down menus. 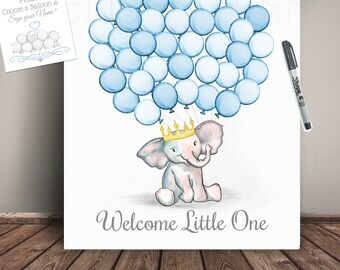 - Personalized Welcome Sign -Personalized with a name.